20 Oct 18: Aldenham 83 RB/BOAT. The result is in: the remaining part of Oakridge Lane has been added to teh definitive map, making sure it is available for riders in the future. There will be a full report in the Annual Report for registered supporters. 4 Apr 18: Aldenham 83 RB/BOAT. The part of the Oakridge Lane order, which was quashed following last year's confirmation, was heard afresh at a new public inquiry. We now await the result. 7 Feb 18: St Stephen 96. The Hertfordshire County Council has confirmed its order adding Featherbed Lane, East of the M1, to the definitive map. recording this bridleway. We applied for it in 1997, and 21 years later it is safeguarded! Read a copy of the confirmed order. 9 Aug 17: Aldenham 97 - Aldenham Water Meadows path. 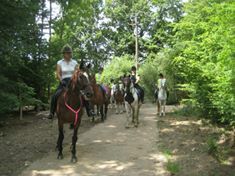 The Hertfordshire County Council has confirmed its order recording this bridleway. We applied for it in 1995, and 22 years later it is safeguarded! Many thanks to our supporters and friends who collected the user evidence needed to back up this case. Read a copy of the order. 31 Mar 17: Shenley 36. Landowner advises that the waymark arrows have been changed to 'public bridleway' ones. 24 Mar 17: Shenley 36. 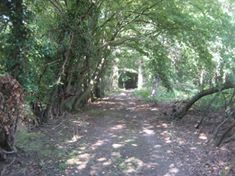 We were delighted to hear today that all those needing to consent to the upgrade of footpath Shenley 36 north of Cow Banks Wood to bridleway have now consented. The waymarks will be changed to bridleway ones shortly, and we aim to hold an official 'opening' towards the end of May. 9 Dec 16: Shenley 10 BW. The final piece of the route from Woodhall Lane to Radlett Lane has now been legally upgraded to bridleway, so securing the path that we opened a few years ago. 4 Nov 16: Woodhall Lane to Radlett Lane. The County Council has made a creation order to record the section on Hertsmere's land (with their agreement). This project has taken nearly 20 years, but finally completes this section of the Aldenham Parish Ride and the Shenley Parish Ride. 29 Mar 16: Well End BW BHS HQ will contribute £330 to our appeal fund to create bridleway in Well End. #wellendbridleway We need to raise the cost of fencing and clearance. 12 Mar 16: Nightingale Lane, Bushey: bridleway order confirmed! This was 20 years and 22 days after the original application - good things come to those who wait. 10 Sep 15: Aldenham Major Project Legal work completes for the dedicated paths. Just the Wall Hall Main Drive to go now! 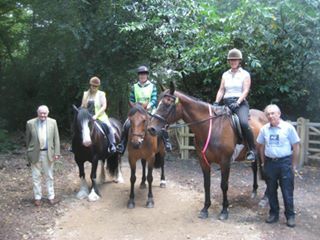 1 Sep 15: Well End BW Appeal launched to raise funds to create bridleway in Well End. #wellendbridleway We need to raise the cost of fencing and clearance. 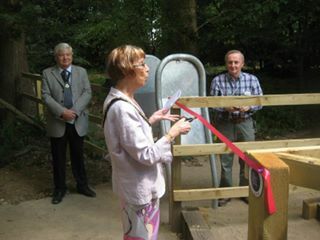 8 Aug 15: Northaw 17 BW Official opening by the Deputy Mayor of Welwyn Hatfield Borough Council. #northawbridleway Thank you to everyone who donated towards the costs. 6 Jun 15: The Pathway, Radlett Do you ride this suburban alleyway in Radlett (Aldenham Avenue to Loom Lane)? If so we'd like an evidence form from you please! © 2018 Patchetts Green Bridleways Trust. Registered Charity Number 1109497. 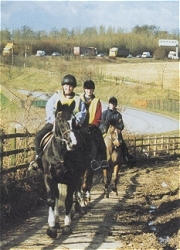 Affiliated to The British Horse Society and the Open Spaces Society.